Camerata was privileged to recently welcome Italian Baroque violin virtuoso and head of the International School of Improvisation, Davide Monti to Brisbane. 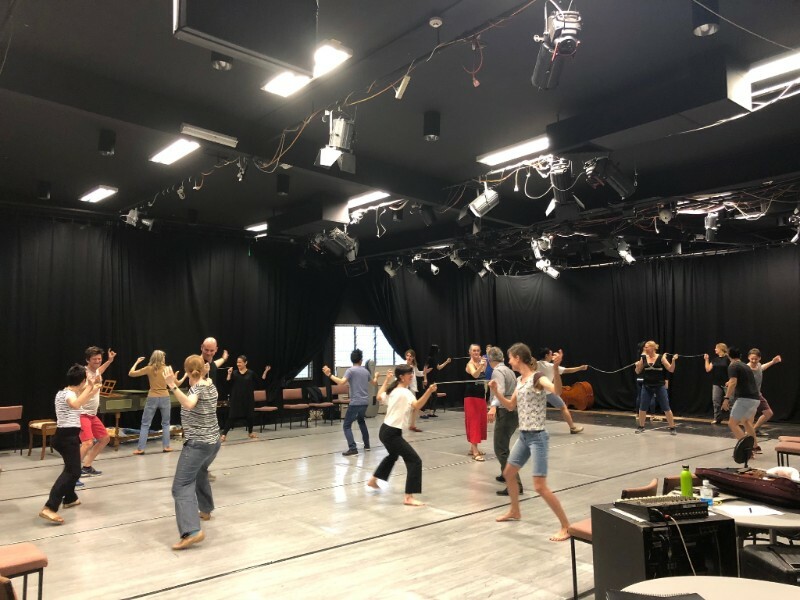 Davide spent a week with our Artistic Associates working on the art of improvisation ahead of the main stage presentation of Viva Vivaldi in Toowoomba and Brisbane. Our Artistic Associates were put through their paces throughout the workshops, drawing on techniques from other disciplines such as fencing, horse riding and dance. The feedback provided by our artists has been overwhelmingly positive, resulting in a heightened connection between the orchestra and confidence in approaching improvisation on stage. This was witnessed first hand onstage at Camerata’s final main stage performance of Viva Vivaldi. The workshops form part of Camerata’s commitment to provide valuable professional development opportunities for our Artistic Associates.